COLUMBUS — As Daylight Savings Time ends today, Ohioans will be spending more time driving in the dark. This can lead to tired eyes behind the wheel and an increased risk for crashes. 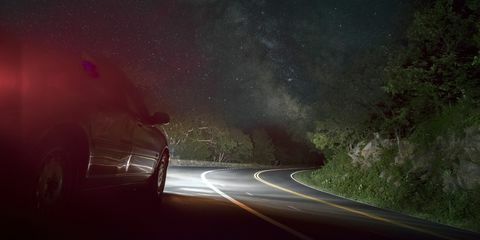 Nighttime crashes spike in November, after Daylight Savings Time ends, according to data from the Ohio Department of Public Safety Crash Statistics. During the past five Novembers, about 50 percent of Ohio’s crashes have happened at dawn, dusk or dark, compared to about 33 percent for the rest of the year. Improving visibility: Clean windows and headlights help ensure good visibility. Also, ensure all headlights and taillights are in working order. The law requires motorists to turn headlights on a half-hour before sunset. Watching for deer: November is peak time for deer-vehicle crashes. Be vigilant and watch for deer, especially at dawn and dusk. If a collision is unavoidable, apply the brakes firmly and remain in your lane. Don’t swerve to miss a deer. This could cause a more serious crash. Stopping for pedestrians: Last year, 145 pedestrians died on Ohio’s roadways, according to the Ohio Department of Transportation. Nearly 80 percent of those deaths happened at dawn, dusk or after dark. Slow down, eliminate distractions and always stop for pedestrians crossing the street. Preventing Drowsy Driving: The percentage of crashes involving drowsy driving is nearly eight times higher than federal estimates, according to research from the AAA Foundation for Traffic Safety. While 96 percent of drivers say drowsy driving is a serious threat to their safety, many are not getting the sleep they need to combat the problem. Knowing the warning signs of drowsiness, and avoiding heavy foods and medications that cause drowsiness can help drivers avoid dozing off behind the wheel.